By now everyone knows that ESPN paid $100 million more than Fox could afford for the rights to the BCS games beginning in 2009. 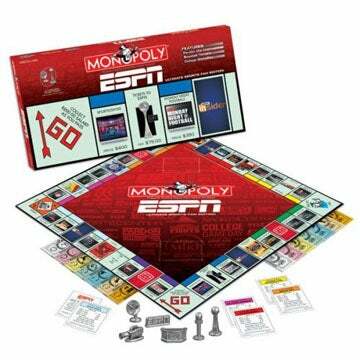 Cementing, to a great degree, ESPN's status as a post-season college football monopoly (they now control 29 of the 34 bowl games). And we've also noted that this increasing power has come without a great deal of criticism. To a large degree because ESPN now employs most of the people who are talented enough to raise criticism against the network. But we've never really seen their power broken down in a cogent article examining their business model. Until now. Enter Richard Sandomir of the New York Times. Read on. Be scared sports fans, very scared. Traditional broadcasters like CBS, Fox, and NBC have to balance out the cost of their programming with the advertising revenue they can garner from their programming. This has been the traditional business model for sports rights. And it is simple enough to comprehend, if you pay x for the event, then you have to be able to sell more than x in advertising dollars (or ancillary promotions and the like) to justify your bid. But ESPN doesn't just rely on advertising. Why not? Because every single person with cable is paying for the right to watch ESPN. This isn't a particular surprise, all of us have been doing it for decades, but when you see the money it produces, it's kind of mind-boggling. ESPN cannot ignore the deep recession’s impact on advertising. But its subscriber revenue gives it an extraordinary cushion. ESPN charges cable and satellite operators an average of $3.65 a month per subscriber, the most in television, according to SNL Kagan, a research organization. Multiply that by 98 million subscribers, over 12 months a year, and ESPN’s financial armor adds up to $4.3 billion.